is now available for pre-order on amazon! I adore Scandinavian art. For our wedding I gave my husband a hand-painted "dowry" box from www.painted-furniture.com. The joke was it came empty ;o) His family heritage is Saxon so I wanted to give him something related. Once I started looking at their artwork I was struck! Have a look for yourself. Thank you so much. I will have to go take a look and possibly order both of them. I love books, I have more than I could ever use. Thanks for pointing out the Scandinavian one! I passed up a scandi-themed one at the Japanese bookstore in NY when I was there and have regretted it since. 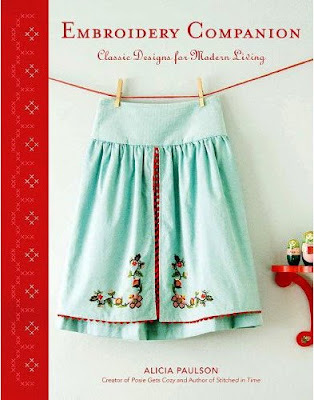 I'm also going to order the new Built by Wend Sew-U Dresses book. Dresses w/ cute embroidery for spring? YES! Always love discovering new embroidery books to add to my collection. You can never have too many! 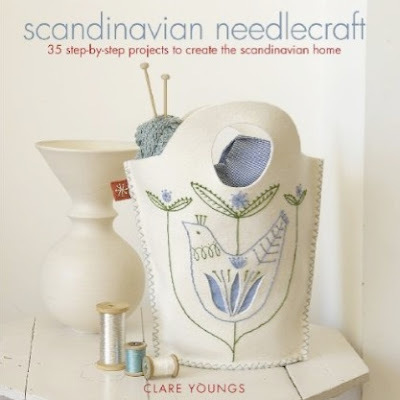 The Scandinavian book is going to the top of my wish list.